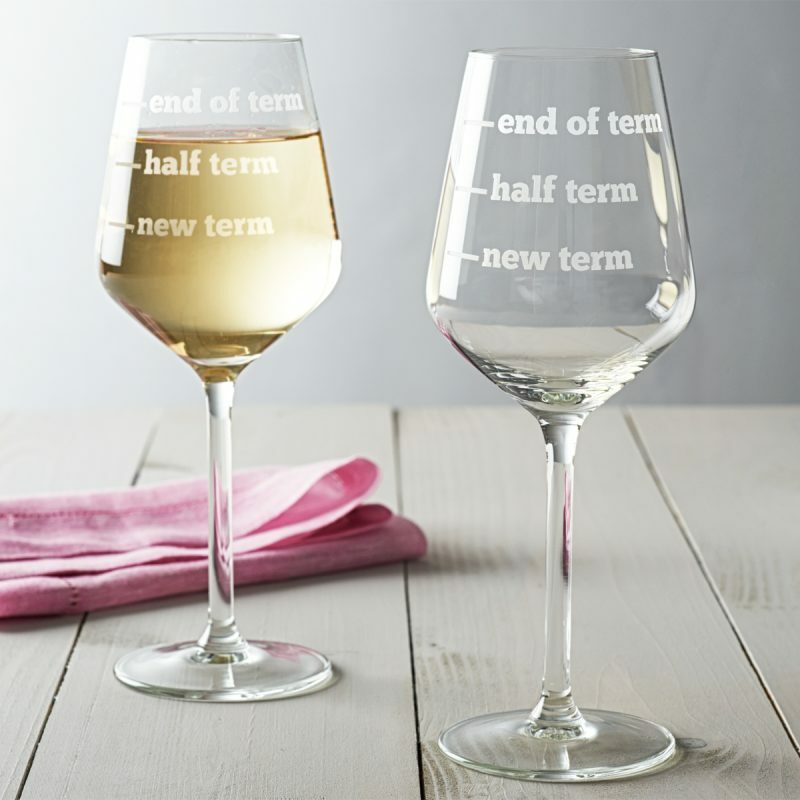 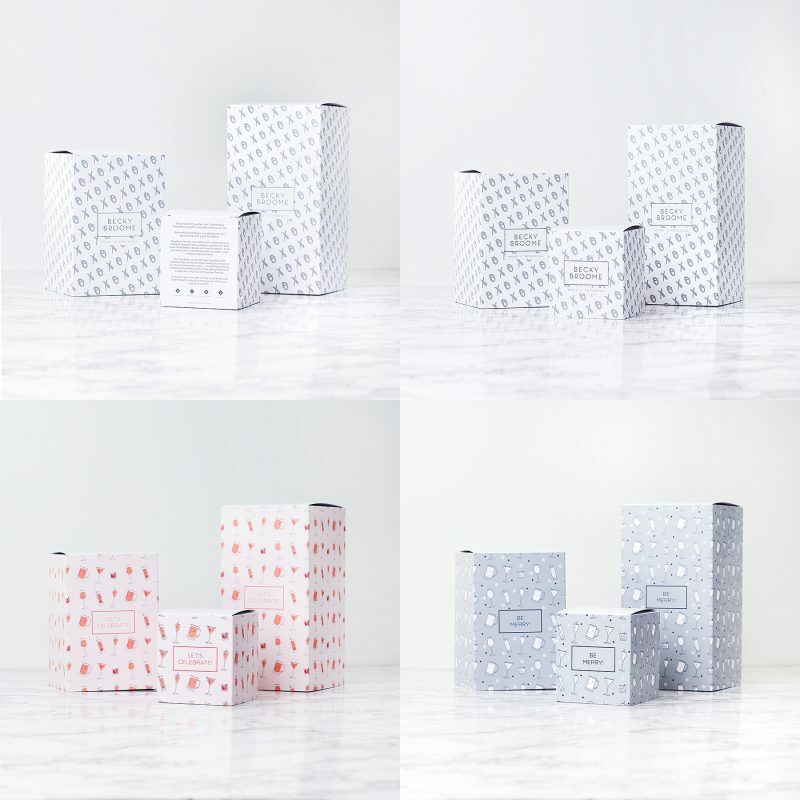 The humorous etched design features three measure lines with the words, ‘new term’, ‘half term’ and ‘end of term’. 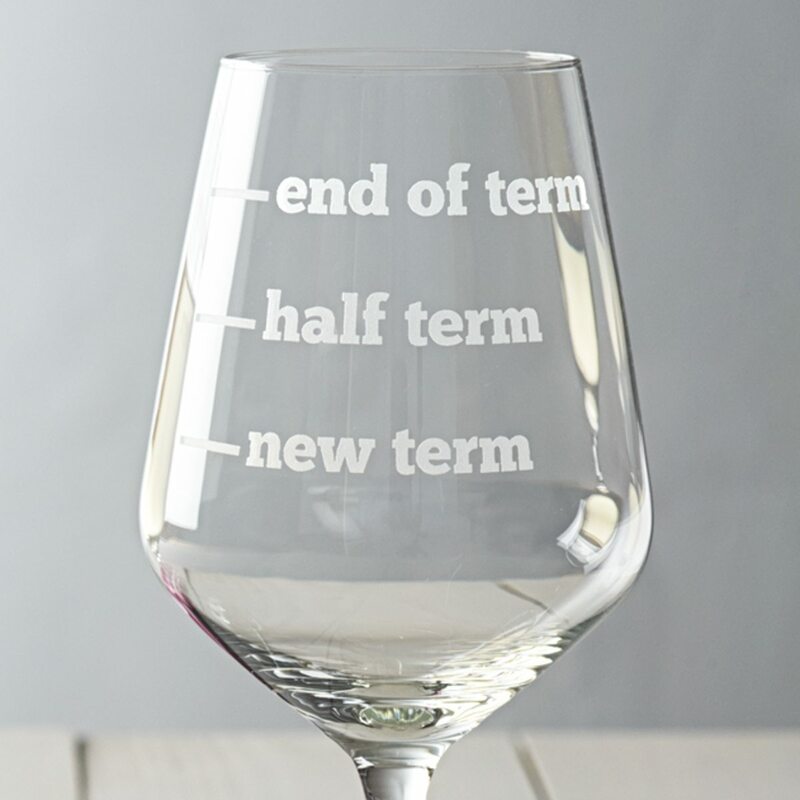 The teacher can fill their glass to suit! 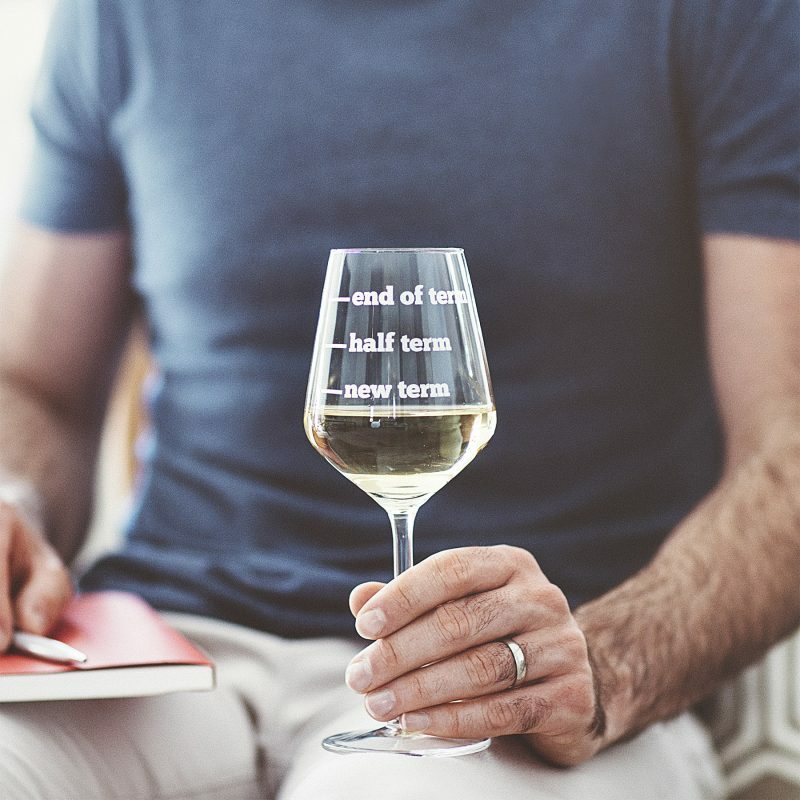 Perfect as your child’s end of term teachers present or as a gift for an overworked teacher you know, this hand etched wine glass will definitely raise a smile. 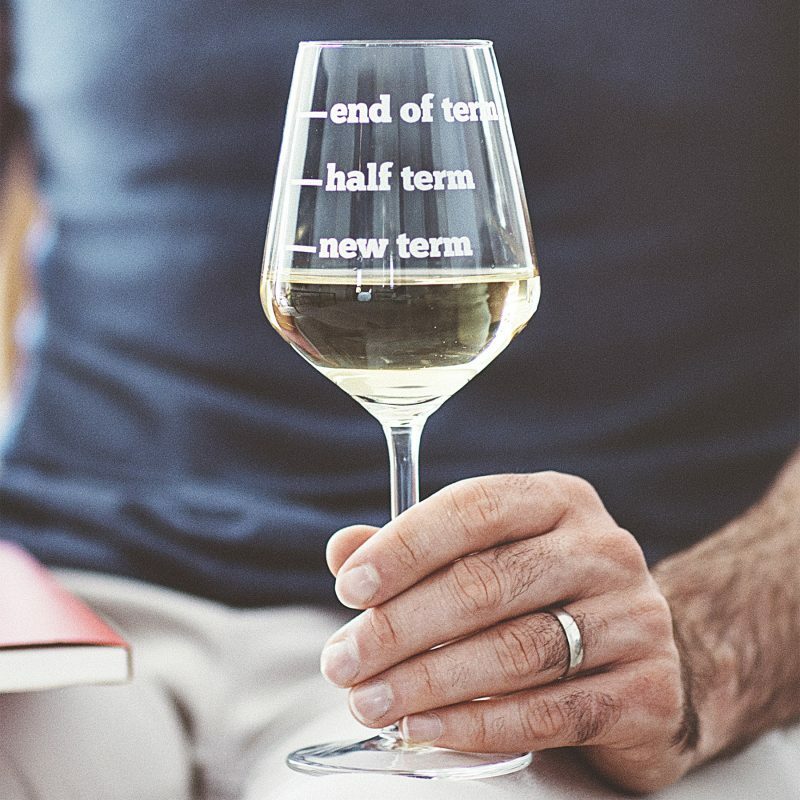 Each wine glass is hand-etched in our studio in Liverpool. We create a mask with your personalisation and carefully etch the surface of the glass by hand. 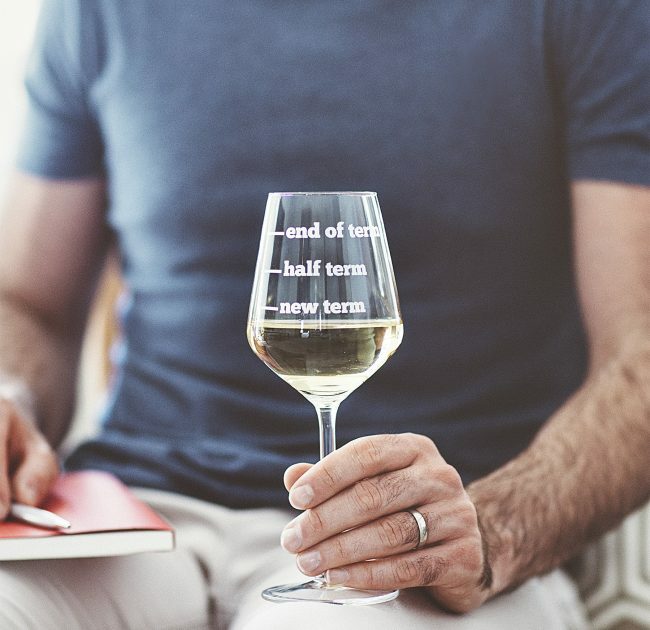 As each glass is hand-etched to order, there may be slight variations, this only adds to the unique nature of this product.